And then there's the Violence Against Women Act, which was supposed to be one of the year's easy ones. It wasn't. Back in April, the Senate approved VAWA reauthorization fairly easily, with a 68 to 31 vote. The bill was co-written by a liberal Democrat (Vermont's Pat Leahy) and a conservative Republican (Idaho's Mike Crapo), and seemed on track to be reauthorized without much of a fuss, just as it was in 2000 and 2005. But House Republicans insisted the bill is too supportive of immigrants, the LGBT community, and Native Americans -- and they'd rather let the law expire than approve a slightly expanded proposal. Vice President Biden, who helped write the original law, tried to persuade House Majority Leader Eric Cantor (R-Va.) to keep the law alive, but the efforts didn't go anywhere. What most rankled the Republicans, I suspect, were the provisions relating to immigrants — illegal ones in particular. The senate bill would have granted them visas, funding and a raft of goodies when they made DV accusations. This is what we call an “incentive to accuse.” VAWA already offers American women an incentive to accuse, and accusations have become so common that you’ll hear at least every other divorcing wife making them in family court. When I read a comment on Maddow’s blog from a prosecutor who said it was difficult to get women to accuse their husbands, I had to wonder what world he was living in. I think it might be the world where you get paid more for prosecuting more men, because that’s one of the biggest whoppers I’ve seen in a while. So, if the senate version had passed, we would likely have seen a giant surge in accusations of DV made by illegal immigrant women, filling our courts (and jails) beyond capacity. Becoming an official “battered woman” would allow them to avail themselves of all sorts of federal benefits, such as TANF, SNAP, medicaid, social security and others that are typically extended only to permanent residents (i.e. citizens or green card holders). So come on, people, not every liberal, intelligent TV personality is Jewish. Though it sure seems that way sometimes, doesn't it? Okay, it is not a Jewish conspiracy, but you can be sure that the VAWA proponents are out to destroy the American family as we know it. If she's Catholic, it must be a Catholic conspiracy then, right ? 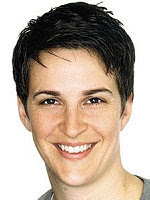 Maddow has stated that her family is "very, very Catholic", and she grew up in a community that her mother has described as "very conservative." Maybe you decidde who's Catholic ? Her parents are Catholic. She is not Catholic. If she were to announce that she is Catholic, then I would take her word for it. Well, what's important is that it's not a Jewish conspiracy because she's not a Jew, like you said, right ? So, it's a conspiracy by some group that she is a part of. That's how it works, right ? Someone is a Catholic because they announce that they are a Catholic. That's how that works. It is not a conspiracy at all. A conspiracy is a secret plot to do some bad thing. The VAWA supporters express their support in public. Huh ? You said it wasn't a Jewish conspiracy because she's not Jewish, so what kind of conspiracy is it ? It would have only been a conspiracy if a Jew had done it and since she's not Jewish it wasn't a conspiracy. I guess only Jews have secret plots to "do something bad" like you say.